I like to troll. It’s one of my favourite types of fishing, so I do it a lot. Now, years ago trolling would have meant driving around in the boat for hour upon hour, switching out lures every 15 minutes hoping that one of them would get in front of a hungry fish who rewarded me with a bite…sound familiar? Well all those years of fruitless trolling actually helped teach me the right way to troll. As I was talking to my family on one of our annual fishing trips (we’ve been going to the same location now for over 3 decades), it dawned on me that while we trolled countless miles of water, most of our fish were caught in very specific locations, year after year. And thus, my focus on trolling the right way was born. Trolling for me now takes into account weather, time of year, depth, structure, speed, wind, lure size, lure colour, distance from the boat… you get where I’m going. So last year when I purchased my first new boat, I got a tiller because I loved to troll and I wanted that added control. 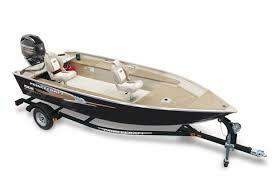 This year I added to that control when I installed the Mercury Big Tiller on my 40hp engine, and it’s been great. I was excited for a few of its key features. First off, it is longer so as I troll I don’t have to reach back so far, which is easier on the body and much more comfortable to control. Next, came the power tilt which is located right at the end of the handle. In the stock design, you have to reach over the tiller to the main engine, on the opposite side you sit, to raise or lower the motor. This is fine when you are docked, but when you are either at speed, or a shoal pops up unexpectedly, you may not have time to raise the motor and to steer, and this solves both issues. The third, and arguably the most important feature, was speed control. 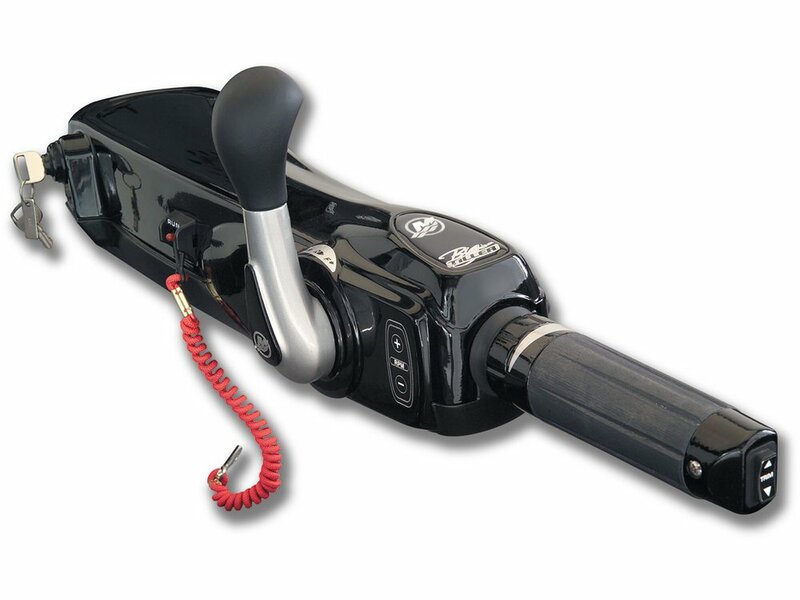 The big tiller allows greater control of speed by allowing you to drop the rpm on your engine if you add on the rpm adjuster. This allows you to effectively increase or decrease your standard trolling speed, which can make all the difference. The other added benefit is that your gear shift is right up front on top, allowing you to put the engine into and out of gear with no difficulty, allowing you to “coast” for a time to control the speed. I have an electric trolling motor on the front as well, but in big waves or high wind, the added power of the tiller is often the ticket. 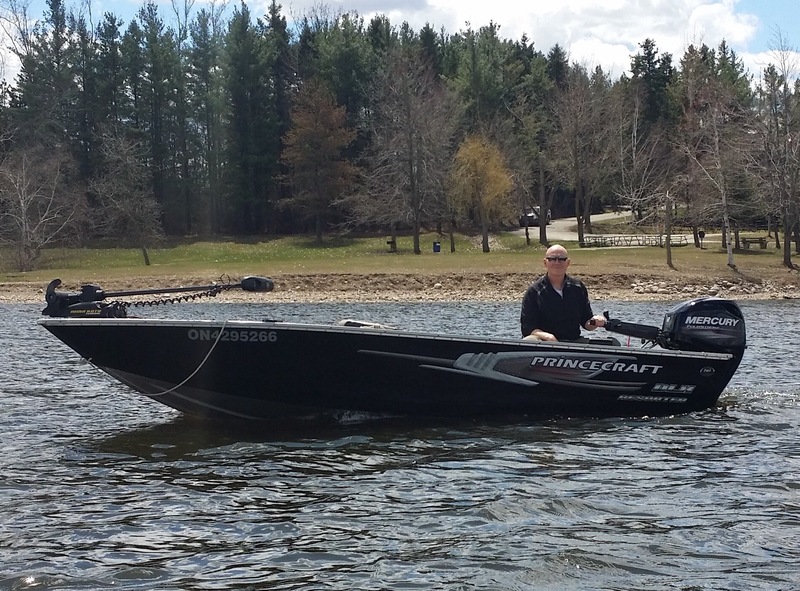 While it was not an inexpensive add on, and I should probably have ordered it when I purchased the boat, I’m really pleased with this addition, as it makes both driving and fishing that much more enjoyable.